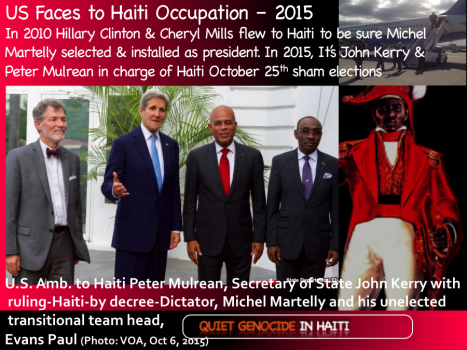 Nov.5, 2015 update at: Who will the U.S. declare President of Haiti this time? October 25, 2015 is it Election or Another Selection? On Sunday October 25, 2015, the people of Haiti are expected to go to the polls. More than three million people are eligible to cast ballots for President, Senators, Deputies and Mayors. Based on what has happened in elections in Haiti since 1986, there is no guarantee that a real election will take place where the winner will indeed be picked by the people of Haiti. In March 1987, the first election after the bloody dictatorial regime of the Duvalier ended in bloodshed. Many Haitians died at the polling stations exercising their constitutional rights to freely elect their leaders.Then the de-facto military regime selected Lesly Francois Manigat as President of Haiti in an electoral masquerade and threw him under the bus six months later in a coup d”état. Again, in December 1990, the people of Haiti went to the polls and elected Jean Bertrand Aristide as President, but not without a struggle. Jimmy Carter who came to Haiti as an Electoral Observer asked Aristide to give up the election to Marc Bazin who was the preferred candidate of the oligarchy and the international community, mainly the United States. But they could not buy the then electoral commission nor Aristide himself. Therefore, seven months later, under the George Herbert Bush, Sr. Administration, the democratically elected Aristide government was overthrown by a U.S. CIA-backed and orchestrated military coup d”etat. Thousands of Haitians were murdered by members of the defunct Haitian armed forces and CIA sponsored paramilitary groups such as FRAPH. In 2004, during Aristide’s second election, the US funded the so-called civil society oppositions as well as the death squads, led by Guy Philippe and Louis Jodel Chamblain to take the Aristide government down. When they failed, George W. Bush, Jr., Colin Power and Kofi Annan presided over a back-up, Special Forces’ kidnapping of Aristide and the regime change that brought Haiti the current US occupation behind the UN and NGO humanitarian front. In 2006, Rene Preval was given the presidency after popular protest broke out when it was rumored that the Electoral Commission was about to give the presidency to Lesly Francois Manigat. Four years later, in 2010, former US President Bill Clinton picked Martelly to become president and used his wife’s influence as US Secretary of State to achieve his goal with the sanctioning of the Organization of American States and the blessing of the Obama Administration. Strangely enough, it has been reported that one of the key actors in the 2010 election, Jude Celestin was told by the Clintons to give it up to Martelly, to keep quiet and he will be made president in the next election cycle. By the way, Jude Celestin is a candidate for president in the upcoming Sunday, October 25, 2015 vote after spending five years being quiet indeed. In order to advance their goals, it was revealed in the Hillary Clinton emails that the violence that happened after the post elections of 2010 was financed by USAID. In August 9, 2015, after delaying repeatedly organizing elections during the past four years, an electoral masquerade was held that received once again the blessing of the international community, mainly the Obama Administration. Martelly knows very well how he was made president. The same conditions that led to the results of 2010 are present for the 2015 vote, if not worst when we have just witnessed a civilian massacre in Cite Soleil by a death squad corps within the national police called BOID. What can stop Martelly from selecting his successor. What can stop the US selecting another candidate that guarantees the U.S. status quo while giving the impression that the people of Haiti have indeed elected a new chapter, a real Haiti president? It’s not possible to have real local elections while under foreign military rule. We are about to witness another selection one way or the other. Can Haiti afford to lose another five years as stated in the last Miami Herald editorial? Will the misery of the Haitian people continue or will the people rise up this time and say, “enough is enough?” Is October 25th, 2015 that turning point? Jean Yves Point-du-Jour is a Transportation Engineer Manager, better known as “Yves Dayiti.” Mr. Yves Point-du-Jour was born and raised in Port-au-Prince, Haiti. He lives in Maryland USA and works as a transportation engineer manager. He is a broadcaster and has produced and hosted the Haiti radio program, “Konbit Lakay” in Washington, D.C. for over 29 years. Contact email: youri44@hotmail.com. A week from today another (s) election will be held in Haiti on October 25th, 2015. This presidential masquerade only has the appearance of legitimacy because of the authorization given to it by the Lavalas Party, the largest in the country, to participate. This proposition will only fool those who want to believe that the country will move forward despite all the evidence to the contrary. The country is under UN occupation and any hint of political independence is and will not be accepted. The UN presence in Haiti for those who deny the occupation of the country may be categorized as follows: the (s) election planned by others; the Head of State selected by others; the Prime Minister suggested by others; economic policy defined by international aid, visas used as a weapon by others; agricultural production policy planned by others through genetically modified foods; the security forces armed by others, et al… The landscape, of African, Caribbean and Latin countries, is filled with violent coups through mercenary-backed instability and economic sanctions. It is quite interesting to observe the international and local media’s deafening silence when a puppet is installed by foreign entities. The demonization, of progressive leaders, is a current fait accompli. But an analysis of the aligned strongman coverage shows a total absence of any criticism while the GDP is at a standstill and various economic factors are stagnant. The past decade under occupation is a barometer of what is to be expected: another degenerate or a foreign back politician. Elections under US occupation behind the UN humanitarian front and Martelly dictatorship are illegitimate. In order to pick the next Haiti president, the US-Euro colonists must go to the process of holding “Haiti elections.” It doesn’t matter that the US overpaid $38 million for the August 9th Parliamentary masquerade. Doesn’t matter the first round garnered a mere 4-5% voter participation, were heavily criticized and roundly denounced as an electoral travesty. The US-World Bank resource-mongers need a facsimile of elections to legitimize all those decrees and new “laws” they have Martelly and his un-elected Transitional Team signing without a Parliament. So, to cower the people thinking that they can use the chaos to put in their own candidates, to check the opportunistic politicians and control these selections, the US-Euro imperialists with the tiny Haiti billionaire oligarchs must strum up FEAR and violence this Sunday. This past weekend’s pre-election massacres of 15 to 20 people in Site Solèy by the specialized police unit called Brigade of Operation and of Departmental Intervention (BOID), is a preview. Haiti human rights activists, witnesses and radio commentators charge that the newest US-Martelly special police unit are doing the bidding of the US status quo as represented by Martelly’s political party (PHTK) and revealing itself to be in the vein of the old Duvalierist Tonton Macoutes. BOID, a 254-officer police unit formed by the Michel Martelly team in June, is charged, by activists, with the killing this last week of at least 15 to 20 people with gunfire. Four men were also reported decapitated with machetes by BOID. Their bodies found Oct 16, 2015. HLLN sources charged them with indiscriminately stopping groups of Haiti residents, in the Site Solèy and other areas, brutally throwing residents to the ground, manacling them and putting them in the back of their pick-up trucks before speeding off. On Sunday, October 25th, the first round of presidential elections and the second round of Parliament elections are to be held. The candidates in the Haiti elections know they won’t win with a clean campaign. The vote is foreign financed, the ballot system foreign made and foreign counted. Without foreign support and/or force, one cannot win. For its part, the Martelly dictatorship and un-elected transitional government is methodically stifling dissent in the prelude to the October 25th (s)election by gerrymandering areas along the coastline to add 19 new Deputy seats, increasing taxes, using the weekend Diaspora militias to manipulate the vote, intimidating opposition supporters, using government funds to bribe and push their PHTK candidates. Signing whatever law the World Bank and US Embassy wish them to in exchange for military protection, destroying voting centers in the populous areas where Martelly and the US are seen as repugnant tyrants using the law as a tool of repression. Just like during the Latorture Boca Raton regime days (2004 to 2006), the brutal police are jailing political opponents and killing activists as part of a broader pattern of neocolonial repression that’s especially more visible at election time. To date, among the Site Solèy residents killed by BOID were two pregnant women and a 10-year-old child. The BOID unit that is raining death and destruction upon Haiti’s poor was trained by the UN/MINUSTAH and United Nation Police (UNPOL).Formed June 2015, the foreign-trained Haiti militarized death squads are given functions that overlaps the missions of the SWAT and the National Haiti Police force (UDMO) teams, except it seems BOID is to cover moreregional and departmental assignments. The overlap itself strums internal divisions, corruption and competition. Doesn’t the UN have an obligation to the people of Haiti not to unleash death squads upon them like BOID, or tolerate these human rights violation under their watch? 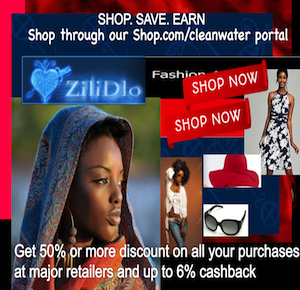 See our past human rights actions at the Ezili Archives on the matter. For instance back in 2006 at “HLLN Letter urging UN to Protect civilians and human right workers in Gran Ravine/Martissant”; or, at this Associated Press, 2006 report “15 officers to face the bar of justice for brutal murders” or at our 2006 essay titled, “Both Lame Timanchèt and UN say their job in Haiti is to kill “bandits”: The failures of the UN and Haitian Police Chief, Mario Andresol” and the UN massacres on July 6, 2005 in Site Solèy by Ézili Dantò. HLLN has been denouncing the UN complicity with Haiti police killings and the criminal failures of the UN mercenaries in Haiti for over eleven years. The colonial formula doesn’t change. The colonial formula doesn’t change. The US will manufacture rivalries and get the armed groups to do their dirty work for them. The violence is intended to suppress voting in populous areas and other neighborhoods, where candidates of the party in power, owned by the US and the Haiti mercenary families, are less popular. The game is called “killing the bandits” in the poor and populous voting areas. 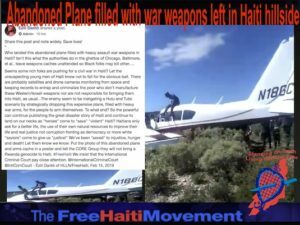 It works like this: the US-Euro arm-dealers and complicit Haiti mercenary families (oligarchs) make sure there’s plenty of guns and ammunition anonymously shipped in containers to Haiti for the big event. Their puppet Martelly government arm local police, special units or just plainclothes out- -of-work-men or family members in it for the quick buck, that they will call “the bandits” to news outlets, “police” or “everyday, loyal supporters” to the Operatives’ face. Assign them out to conduct political assassinations or to instill fear for the purpose of getting control of voting centers for Martelly’s candidates. Simultaneously, the said Martelly government also sends the specialized police units in to wipe out his government’s hired guns (the evidence). 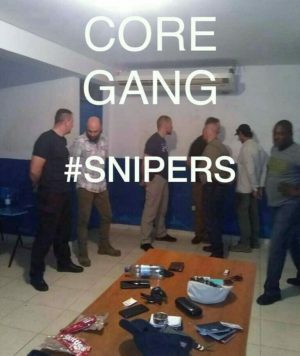 As Haiti human rights organizer Pierre Esperance notes “…the national police..are in cahoots with armed gang(s).” BOID is terrorizing the population. Think about it like this: when the US government plotted, in 1968, to assassinate Martin Luther King, Jr., the United State Government had the mafia do the hit with back-up US army Green Berets there just in case their bandits missed. (See, MLK assassination Martin Luther King assassinated by US Govt: King Family civil trial verdict). Similarly, in Haiti, as elsewhere overseas, the US military industrial complex has got backup US-UN sniper riflemen miles away to shoot at Haiti policemen, the ones (like BOID) they’ve trained. 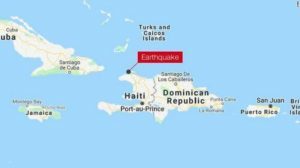 This done to ramp up the chaos and to make sure these Haiti special forces shoot at the places the US-Euro plotters need them to shoot to take out an annoyance to Empire or to start the eruption of Haiti violence Empire feeds on. There are also paid Haiti criminal gangs, and out-of-uniform military and fake police, some flying in for the weekend from US cities – with rolling or multiple allegiances – used to loot the voting centers, stuff ballots, vote multiple times, intimidate opposition party members and supporters. In the US, Lee Harvey Oswald, a disposable CIA operative with no clout, was used and framed as the ultimate fall guy.It is against this background analysis we shall better understand thepre-election massacres and the violence to come this Sunday, Oct 25th, 2015. Back in 2011, the US financed the Martelly group responsible for election violences to counter the Preval government candidate choice and resources. “More than 12 people were reported killed over the weekend in clashes between rival gangs in Haiti’s capital, a spate of violence blamed on groups battling for control over voting centers ahead of the country’s election on Sunday…According to Pierre Esperance of the National Human Rights Defense Network, groups close to the government distributed weapons to Jean-Pierre in January 2015.” —Recent Murders in Port-au-Prince Are a Bad Omen for Haiti’s Election. See also, the US global assassination program with drones. 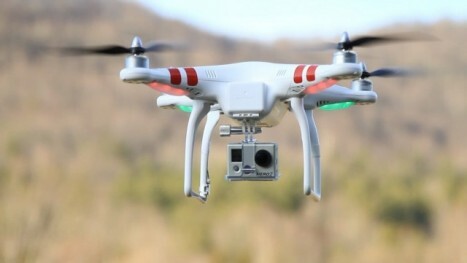 US Drone “cameras” at Haiti voting centers, Oct. 24, 2015. See, Des caméras et des drones devant les centres de vote. The sociopathic White Dominance System uses “the vote” as an instrument of empire to give society the illusion of inclusion while the ruling psychopaths get bolder and more and more degenerate. But they are the ones promoting illegality. Committing human rights abuses that include killing over 10,000 Haitians, making 850,000 sick with cholera, pushing scam elections, endorsing lies and turning a blind eye to the brutal deeds of their trained police units. The 20 Haitians reported killed by the BOID politicized police unit, did not benefit from the UN presence in Haiti. “Much has been made in Haiti about the fact that, although Olivier Martelly, the son of the President of Haiti, was arrested in the United States, all details of his arrest have been sealed and concealed from the public. When information, and relevant details, of important criminal cases are deliberately and efficiently hidden from access, compliance officers at American and Canadian banks are left in the dark, and may, unwittingly, enable, or facilitate money laundering. The blackmail opportunities here are staggering. Sealing information regarding this alleged arrest from the Haiti public, is as shocking as the U.S. cover-up of the farcical 2010 elections. Moreover, we know now (according to the Hillary emails) that the Associated Press had prior knowledge but failed to report the news that Martelly was not the winner of the 2010 Haiti elections. In the same manner today the mainstream media stays, along with the Obama Justice Department, blind, deaf and dumb about the reported US arrest of Martelly’s son. Haiti Weekend Diaspora Militias Manipulate the Vote. 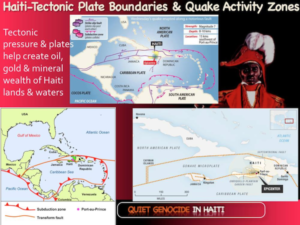 The Trench Town model in Haiti was solidified in occupied Haiti with the Martelly selections. Jamaica’s Trenchtown “Don system” was also started by the bloodsucking neocolonial politicians working for Empire, personal status and wealth. See, video at 32:05. Michel Martelly’s constituency, his Diaspora Kompa fans, music mafia cohorts, drug gangs, the Ninjas and the wealthy kidnappers and money launderers from the Haiti oligarchy living abroad, flew into Haiti on the weekends of the elections to manipulate the vote, destroy it in the populous areas where the people would not vote for these right-wing Duvalierist, coup d’etat dilettantes. In the fraudulent 2010 elections, they drove Toyota Trucks or SUVs with government plates, put on fake police uniforms, and generally assisted the disaffected youth militias, ex-convicts and other operatives in fueling the rioting, vandalism and demonstrations that helped Hillary Clinton/Cheryl Mills move Michel Martelly from third place to the second place needed to get into the run-offs he was initially denied. BOID’s weekend pre-election massacres (Oct. 16, 17) follows in this manner. This is a pattern that is established in the Caribbean nations but only took root in Haiti with the Martelly 2010 farcical elections. The three 2015 election scam days (Aug 9, Oct 25 and Dec 27, 2015) will see these Diaspora gangs flying into Haiti from major US cities like New York, Miami, Chicago and Boston. Putting on police uniforms and working hand-in-hand with the US military forces on the ground benefiting from stifling the populous area votes. Some Haitians wonder if Martelly is signing all the decrees he’s currently signed -that are in the interests of foreign businesses – because the US is giving the family these special favors? Such as, altering official records about his US citizenship? Remaining silent about his son’s arrest in September 2015 so that Martelly and his un-elected transition team may be the faces of the US orchestrated corrupt October 25 elections? May continue to preside over election season violences, the rise in killings, arrests, terrors and other state-sponsored acts meant to dissuade residents, in the populous areas, from voting who are more likely to vote against the US-approved candidates? Is this Martelly favor in exchange for the US keeping Olivier Martelly out of jail? Giving him bail? How can anyone possibly give legal credibility to these election scams? How can there be free, fair, inclusive and transparent elections in Haiti when the 2010 US-UN interventions to delete the people’s vote and put Martelly in office is still so clear in Haitian minds but never addressed by either the Obama Administration nor UN Secretary General Ban Ki Moon? How can there be free, fair, inclusive and transparent elections in Haiti when everyone knows US aid monies fund elections to advance US interests and to protect the Haiti economic elites who are subcontractors for the transnational corporations? The UN mission in Haiti is mostly funded by the United States to protect the interest of the United States, the NGOs and the Haiti oligarchy. It acts as an occupying force and works hand-in-hand with corrupt police, criminal gangs, kidnappers and arms traffickers. The election season police and death squad executions in Port-au-Prince continue the neocolonial impunity of the wealthy and powerful in Haiti.The militarized and trained Haiti police, along with the United Nation soldiers, are sanctioned to shoot Haiti demonstrators mostly with total impunity. These assaults on democracy -these internationally-run elections – are not worth the extinguishment of one single Haiti life. Do not let Andre Michel die like this. 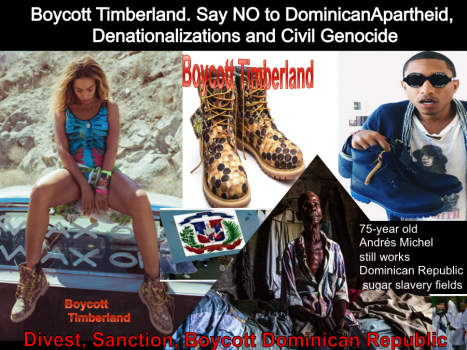 Say NO to DR apartheid, ethic cleansing, expulsions and Justice for the Haitian Viejo (sugarcane workers) in the Dominican Republic. Dr. Martin Luther King’s family and personal friend/attorney, William F. Pepper, won a civil trial that found US government agencies guilty of assassination/wrongful death. The 1999 trial, King Family versus Jowers and Other Unknown Co-Conspirators, is the only trial ever conducted on the assassination of Dr. King. 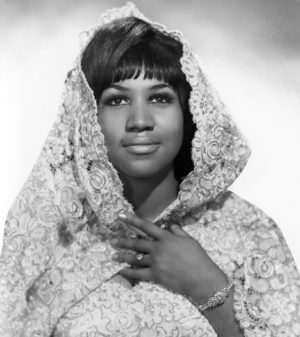 The King Center fully documents the case, with full trial transcript. Usual Memphis Police special body guards were advised they “weren”t needed” on the day of the assassination. The sociopathic system uses the vote as an instrument of empire to give society the illusion of inclusion as the ruling psychopaths get more and more degenerate. All Martelly decrees since he came into office in 2011 are NULL and VOID, cannot bind the sovereign people of Haiti who were forced, after the earthquake to swallow Hillary and Bill Clinton’s impositions under the bullying auspices of the Obama State Department. The Free Haiti Movement and HLLN denounce all unilateral decrees or “laws” made by Michel Martelly while in office. Washington will not push their thievery down the Haitian peoples’ throats through their puppet Martelly presidency nor the un-elected transitional government ruling since Jan 12, 2015. Even before the compromised Haiti Parliament was dissolved on Jan 12, 2005, he was ruling by decree. Martelly has ruled Haiti by decree since he got in office in May 2011. With the military force of the United States, the number one world superpower, Michel Martelly has freely run roughshod over Haiti justice and democracy. He has, for instance, decreed ALL Haiti offshore island public domain without Parliament approval. He has taken lands belonging to Haitians at Ile a vache and other coastline areas to give to rich foreigners for tourism. Ezili’s HLLN and the Haitians at the Free Haiti Movement declare that we are a sovereign people. All decrees pronounced by Martelly are done on his own account, without the Constitutional sanction of the people of Haiti. Secretary of State John Kerry and Barack Obama will not take our offshore islands and Haiti resources while promoting apartheid in Haiti – that is, places along the coastlines where Haitians cannot venture because Martelly is gerrymandering them by decree for the pleasure of the rich and foreign. Martelly recently added 19 more deputies seats to the Haiti Parliament, mostly from areas in the North and along the coast where the US-Euros want to control Haiti resources and port outlets. The 99 deputies Haiti has, in accordance with the Constitution were not helpful to assist better conditions for the Haiti masses. Adding more is beyond irrational and only serves the US divide and conquer agenda. All Martelly decrees since he came into office in May 2011 are NULL and VOID. Martelly didn’t win any election but was PUT IN office by Hillary and Bill Clinton, Cheryl Mills, Opont/OAS and the international community. If the Internationals like him so much, they’re welcome to take him back to their countries and let him sell off the US or Europe. 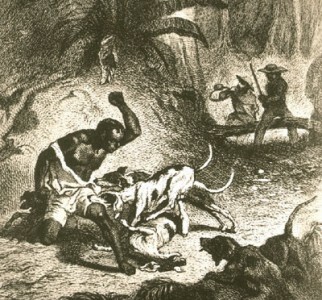 Haiti is paid for, in 300 years of slavery, 250,000 lost lives from the 13-year Revolutionary war, 122years of paying France an Independence Debt, 19-years of US occupation (1915-1934) where Haiti gold reserves were carted to the U.S. and 100 years of indirect occupation (1915 to 2015). What we have belong to HAITIANS, not Hillary Clinton’s brother and cronies. Let’s spread this message far and wide. Let the people know, NOT ONE Haiti life, should be sacrificed for these fake elections on October 25, 2015. 20 dead Haitians from the August 9th first round Parliamentary electoral travesty was a horrifying waste of life enough. We denounce the fake elections, the US tyranny, the Martelly dictatorship and say END the US occupation behind UN mercenary guns and the charitable industrial complex now. We’re the Haitians who demystify neocolonialism plots. Break it apart and put it up to the sunlight. 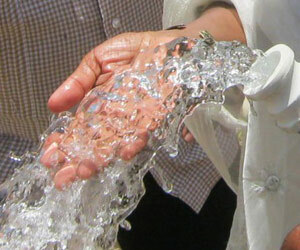 Forward to human and economic justice for Haitians.